A one week course from August 31st – September 7th 2019. This is a great opportunity to deepen your practice with two daily classes. Please arrive on August 31st with a view to commencing classes early on the September 1st. The course finishes after morning class on September 7th at 10.30am. Yoga classes will be held every morning. There will be a break after brunch for resting, sightseeing, swimming, etc. We will have one afternoon free. Evening practice will be devoted to recuperative asanas and pranayama and throughout the week each student will be given a supervised individual sequence for the afternoon sessions. It is essential that each student brings 1 sticky mat, 4 foam blocks and a belt. Blankets will be provided. 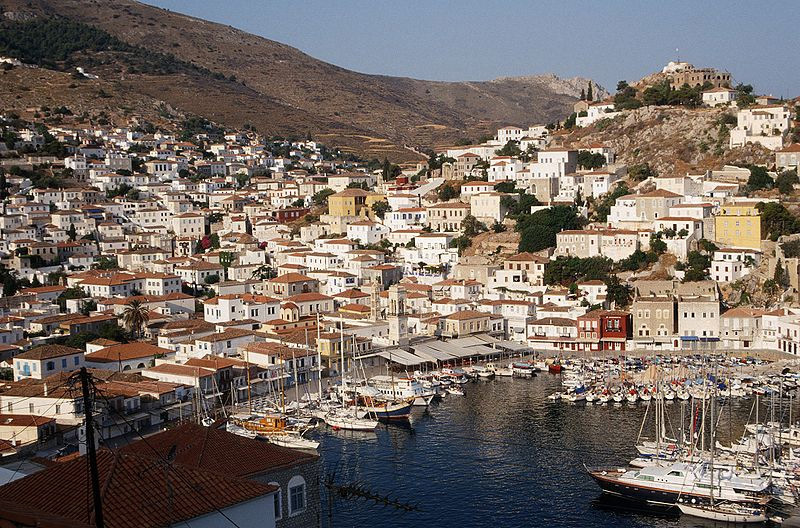 The workshop will take place on the small, peaceful Greek island of Hydra. 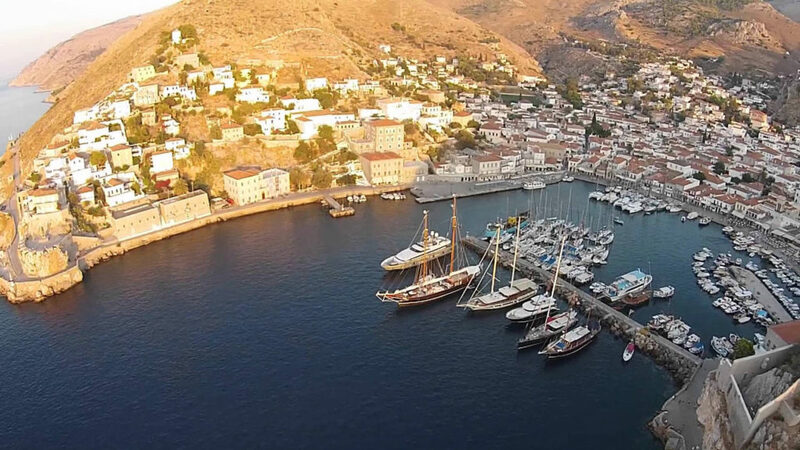 One of the most distinctive features of Hydra is that there are no cars or motorbikes permitted anywhere on the island, and the harbour boasts a selection of sailing yachts from around the world. The Hydroussa Hotel is an elegant, traditional hotel overlooking a courtyard with lemon trees. Each room is simple with its own private bathroom, telephone, air conditioning and TV. This fine example of Island architecture has a magnificent drawing room (considered a museum) and this is where the yoga classes take place. the rooms dont have hot drink making facilities so a travel kettle may be useful. The Hydroussa hotel costs 105 euros per night for a single room and 106 Euros per night for two people sharing (53 euros each) and includes breakfast. All rooms are en suite and have a TV and air con. The cost of yoga tuition is £390 per week. *A 50% refund is payable for cancellations before 17 July. Full balance is due on or before 10 August; after that date no refund is payable. Places are not transferrable. 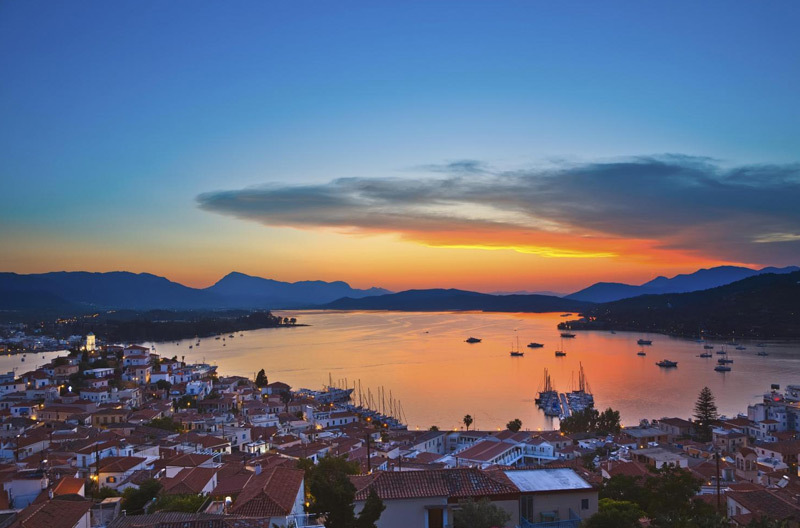 Flights depart from a variety of UK airports to Athens. 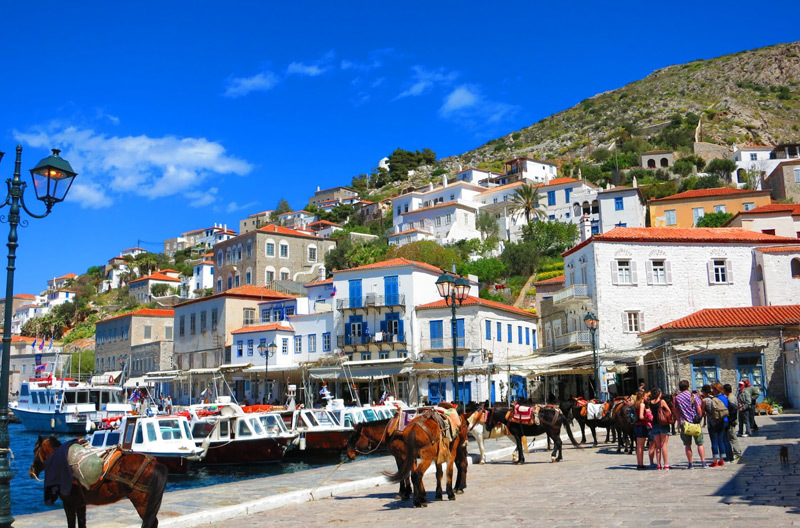 Hydra is then 90 minutes away on the hydrofoil; the hotel is less than 5 minutes’ walk from the port of Hydra. Last ferry can leave Pireaus at 5pm, so ensure your flight arrives in time to catch it. Timetables are published closer to the time but can be subject to change. It is possible to get a coach, tube (one change), or taxi to the port to catch the ferry. Contact E-mail: lrnmcn@gmail.com Mobile: +44 (0)7957 195 618 Home: +44 (0)20 7275 9063.